What does the Tools screen enable me to do? The tools menu option enables you to create a user list, make a mob movement, end a joining, add a comment, flag an animal on live entry and highlight and animal in Stockbook. Step 1: Click on Tools from the home screen. Once you have clicked on tools the following screen will appear. 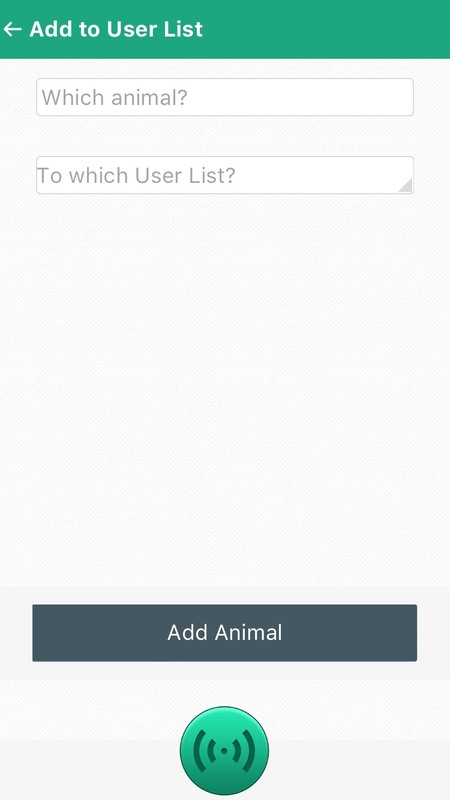 User List Single Add: This function allows you to add a single animal to a user list which you already have created. 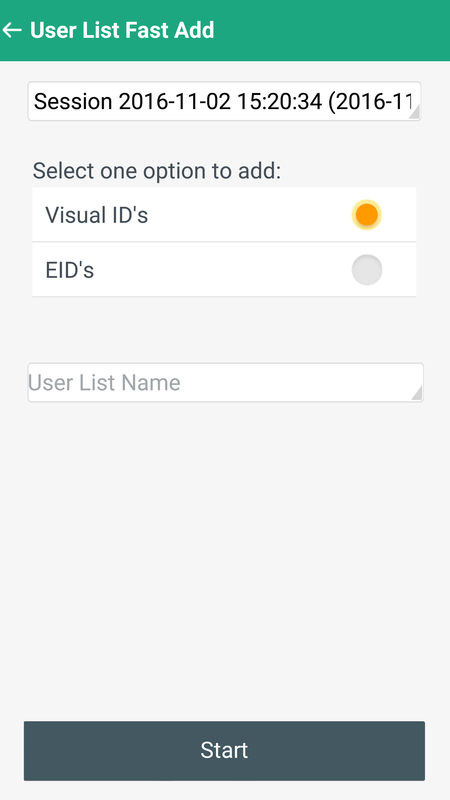 User List Fast Add: The user list fast add option enables you to add the animals processed in a particular session to a user list using either the Visual ID or the EID. 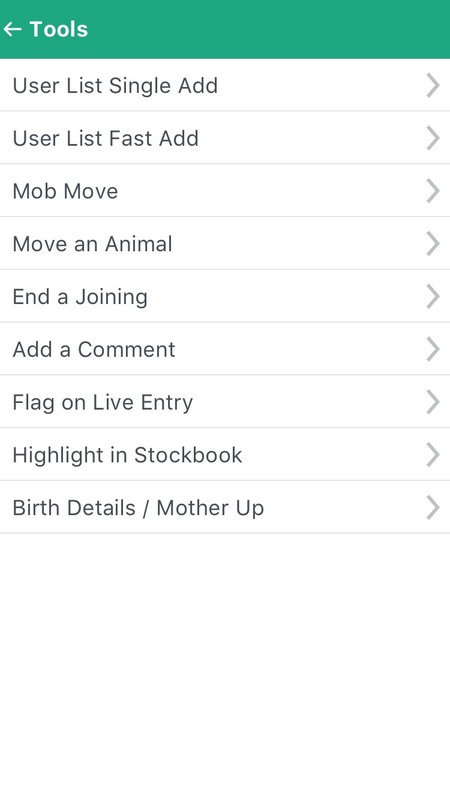 Mob Move: This function enables you to select a mob and move it from one paddock to another. The date will default to the date you are doing the movement in Stockhand on however you can change this date. Move an Animal: This funtion allows you to move a specific animal from one paddock to another. This function moves animals no matter the mob or group. 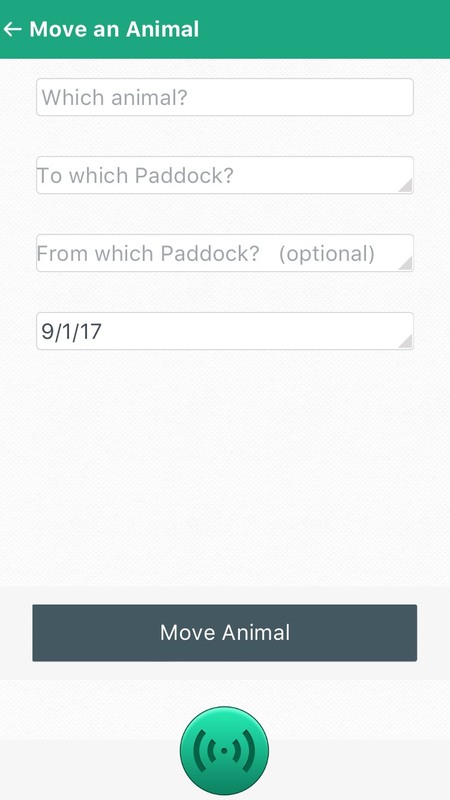 End a Joining: This functions enables you to end a joining for a whole mob in a particular paddock. 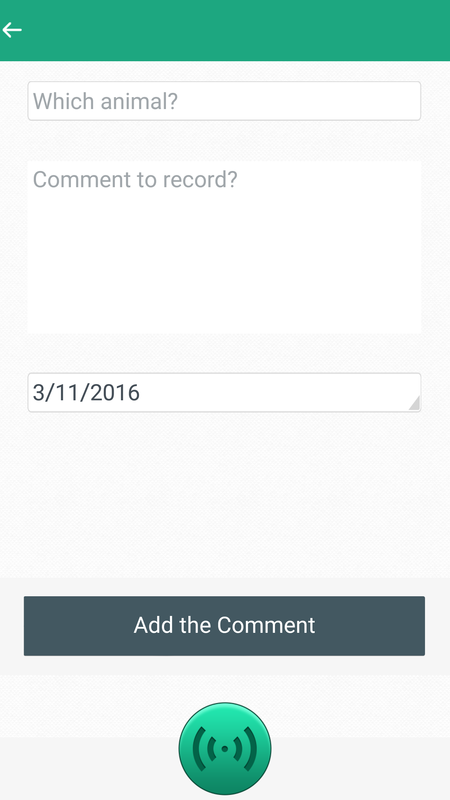 Add a Comment: The add a comment function allows you to add a comment to an animal. Flag on Live Entry: This option allows you to be able to flag an animal for live entry. 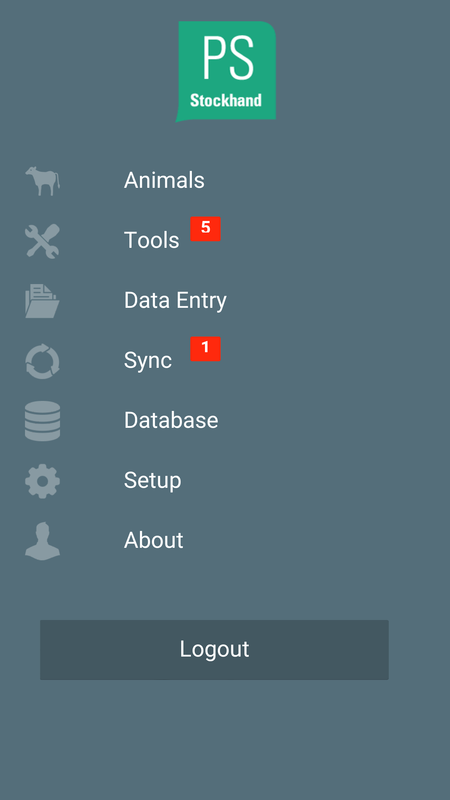 Meaning that you can make this animal flash when you use live entry in stockbook. 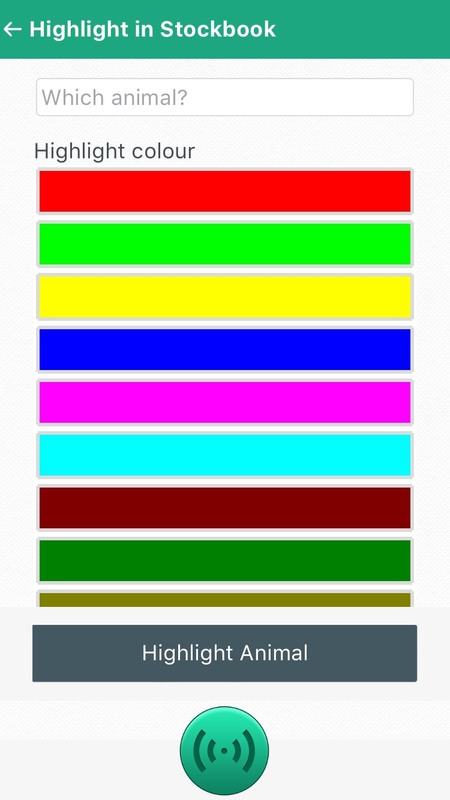 Highlight in Stockbook: Using this option enables you to highlight an animal to appear in your stockbook. 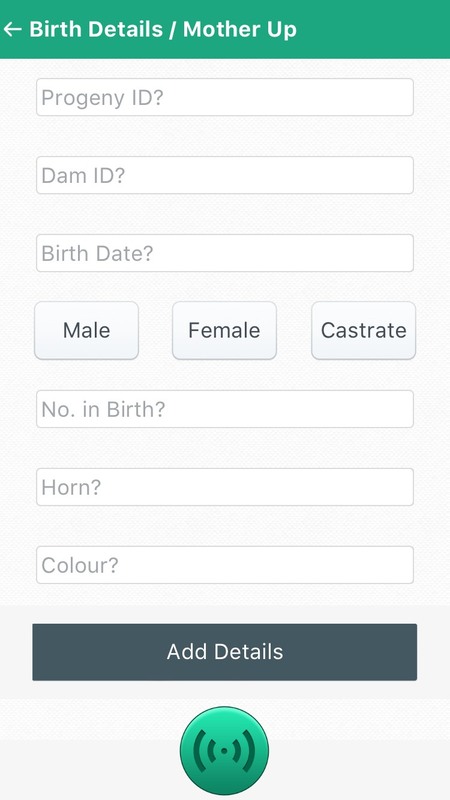 Birth Details/Mother Up: The birth details/mother up tool enables you to add calves into the system with their basic details. It also lets you motherup calves. 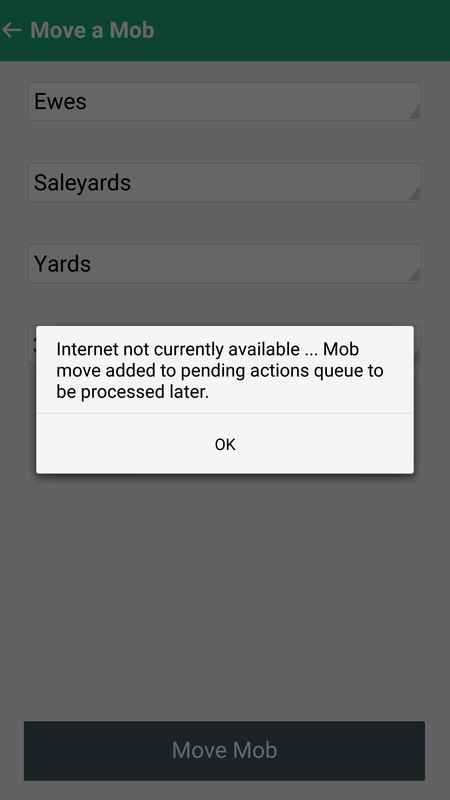 When trying to complete any of the above actions without internet access the following message will appear.